As per usual, this Wednesday the Melbourne metropolitan meeting will be at Sandown, with a twilight meeting. 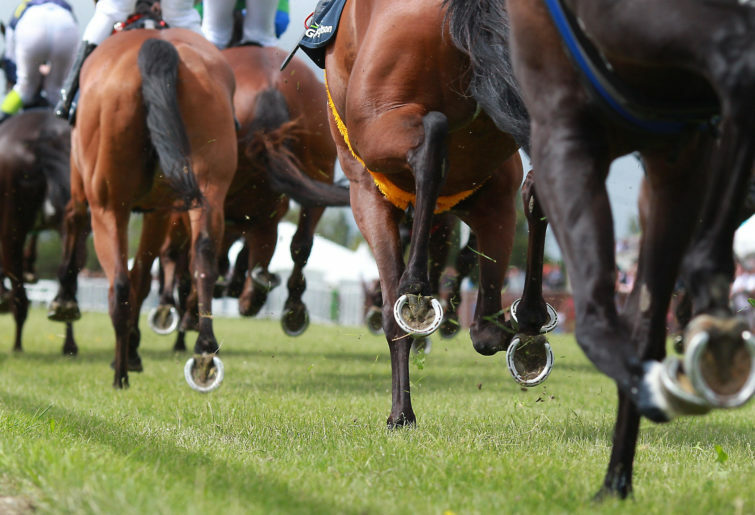 We’ve got an eight-race card, with the two best races coming in races five and seven, both benchmark 70 handicaps. Unfortunately, the weather prediction isn’t great, with it basically being a 70 per cent chance of rain all day. The good news is there’s plenty of shelter at Sandown, so get down to the track and get punting! Pretty open race here in the first for the two-year-olds. It’s always hard to gauge these two-year-old races, however, I’ve found one I like here in the form of Game Keeper. This doesn’t look like that good of a maiden, and his form behind Maozi and Free of Debt seem like good form lines for this race. He was unlucky on debut at Geelong where he had to weave between runners, and down the straight at Flemington just didn’t suit him. In a small field, he shouldn’t be too far off them in the run, and it’s hard not to see him running over the top of them for the Currie and McEvoy combination again. Not many chances apart from him, Miss Dynamic might be next best. A filly out of Shamus Award who ran home well on debut at Sale over 1000 meters. She’ll appreciate the rise to 1200 metres today and should be running on strongly, outside chance. Recommended bet: Win bet on No.2 Game Keeper. We’ve got another maiden here, for the three-year-olds over 1400 metres. A few soon to be stayers are in this field, which makes it hard to sift through, but Smiling City looks hard to beat. This David Hayes-trained gelding is quite simply impressive, and her form behind the likes of Approach Discreet, Prince of Caviar and Extra Brut last preparation are very impressive form lines for a race like this. He was unlucky on debut when he ran out of room late, and he ran out of puff after sitting just behind a hot tempo at Hillside last time in. He’s had a six-month break since then and he comes back to a very winnable race here. With the rail out six metres and not much pace on up front, he should either lead or sit in behind them and be hard to run down late. Oliver a big plus. I Know That looks the big danger. Her run on debut was very impressive, where she couldn’t get out until the 300-metre mark, and then let down with an almighty finish to only finish a length off them. The slow tempo doesn’t look like it will suit him, however, if she reels off them late sectionals again down that long straight, she can give them a big scare. Roofraxs is next best at really big odds. He had a really tough run on debut at Kyneton where he was placed three wide the whole way, and the form behind that trial has been franked somewhat with Lazy Bear finally winning on Saturday. From barrier seven he will get back and could be a surprise packet running on. Recommended bet: Win bet on No.7 Smiling City. The longest race of the day comes here in the third (which is definitely a sign of the times), a benchmark 64 handicap over 2100 metres. Very open race this one, evident by it being $4 the field, however, Blue Bear looks like a very good chance at each way odds. His recent form has been pretty impressive for this race, finishing three lengths off Shaq three starts back, and then finishing a length off Vellaspride who is the favourite here, two starts back. He would have finished no doubt closer to Vellaspride in that race if he didn’t get checked around the turn. He was in a beautiful spot third on the fence until the leader came back on him and he had to go back towards last. It was a brilliant run to get so close considering. From barrier one, Bowditch should place him third or fourth behind the leaders, and in a race without any speed, he should be able to pinch a break on them down the straight. Vellaspride looks the big danger. As stated, he has very familiar form lines to my top selection. The form behind Prince Ziggy and Blue Jay way is very impressive for a race like this, and from barrier six Lane should be able to sit midfield (hopefully off the fence) and be running on strongly down that long Sandown straight. Nothing Leica High is next best. His form behind Prince Ziggy and Lamborghini are also very impressive for this. And He also ran only three lengths behind Declares War three starts back. If the pace comes from somewhere unexpected, he will be the one sprouting wings late. Recommended bet: Each way bet on No.8 Blue Bear. We have a pretty good race here, for the three-year-olds over the mile with some very smart types progressing. I can’t take the $2 quote for the favourite, so I’m steering clear of him and am in the corner of Rossa’s Reward. His recent form is pretty impressive for this, and he is no doubt getting better with each run. His run two starts back at Cranbourne was probably his best to date, even though he didn’t win. He was caught three or four wide the whole race and still kept on coming to the line. Not surprisingly he won last start at this track, in impressive fashion. From barrier five, Brown should sit him third or fourth in a race without any tempo, and he should have plenty left in the tank down the straight. Romaiya is ridiculous overs in this race. He’s a progressive type out of the Alexander yard only having two starts to date. On debut at Seymour, he missed the kick and ended up getting way to far back in the run, and he won last start at Camperdown, sitting midfield and storming over the top of them. From barrier three he draws to do no work, and with any luck he’ll be storming home again. Mawaard is next best. He ran in a good maiden behind Saccharo last preparation, before being spelled after disappointing over this trip at Kilmore. He came back and absolutely donkey licked them at Sale resuming, and a good ride from Zahra should see him go pretty close. Recommended bet: Going each way on both No.2 Rossa’s Reward and No.7 Romaiya. Probably the most open race on the card here is the benchmark 70 for the fillies and mares over the mile here in the fifth. Cincinnati Red shapes as one of the main chances in this one. She’s been racing really well this preparation, having one win and four placings from her last four starts. There’s plenty of good racing to be had this today. She didn’t have to the easiest of runs two starts back at Caulfield, when she was posted four wide the trip, although, she kept chasing really hard there. She chased hard again at this track last start behind Senrima Tide, who should of ran a lot closer at the Valley on Friday night. She’s drawn ideally today in barrier three to either lead or sit on the speed, and with luck she will be hard to beat. Royal Treasury is another of the main chances. She’s a progressive type who has been running in a lower grade this preparation and finally faces a big challenge today. She got pipped on the line by Tavistocks two starts back and then they sent her to Camperdown to build some confidence, which she did winning by seven in front of Our Dexter. She’s drawn the rails and will likely sit handy in the run, Oliver a big plus, chance. Pria Eclipse and Ensuing are the two next best. Ensuing was unlucky not to finish closer to the favourite in this race at Caulfield two starts back after coming off heels, and Pria Eclipse recent form is impressive for this race. Will likely lead and give a good sight. Recommended bet: If pushed would go with No.6 Cincinnati Red, but make sure to put a few in the first leg of the quaddie. Another race for the fillies here, this time over 1300 metres at a benchmark 64 level. Another very open race, evident by it being $5 the field, However I’m going with some value in the form of Happily To Be at double figure odds. She’s been flying under the radar this preparation, this filly. Her run at Seymour three starts back in a relatively strong maiden was impressive, she ran three wide the trip that day and still closed off to finish just under two lengths behind them. She then broke her maiden leading all the way at Seymour beating Tavsomefun, who has won two in a row since. She failed in a much better race than this last start at Flemington behind O’tauto, although, she only finished five lengths off her. From barrier two today she should either lead or sit handy and do no work, over the odds. Etana is one of the main dangers. She’s won two from two which is impossible to fault. Her debut run was really impressive after having to do a lot of work early to get over to the lead, and she destroyed them at Kilmore. She’s had a three-month let-up and she maps perfectly to sit off a hot speed, good chance. Mentrome is next best. She was running in some brilliant races last preparation, although, she did fail in them. She resumed having to sustain a wide run around the field from last at the Valley to only finish a couple of lengths off them, and she had a very tough run at Sandown sitting three wide on speed and finished second only a length away from the winner in Street Icon. She’ll get back and be benefited from a hot pace up front, can be winning. Recommended bet: Each way bet on No.9 happily to be. No doubt the best race on the card this one, a benchmark 70 handicap over 1300 metres. There looks like there will be a very strong pace set by some of the outsiders of the field, which sets it up perfectly for Declerationofheart. He’s drawn a wide barrier but that is negated by the fact that he was going to go back in the field anyway. The last run he had at this track was his best run to date, storming home down the outside to beat the very talented Clarice Cliffs. He backed that up by only finishing two lengths off Brutal and Leonardo Da Hinchi, and then five lengths off Native Soldier and Long leaf, which are brilliant form lines for this race. 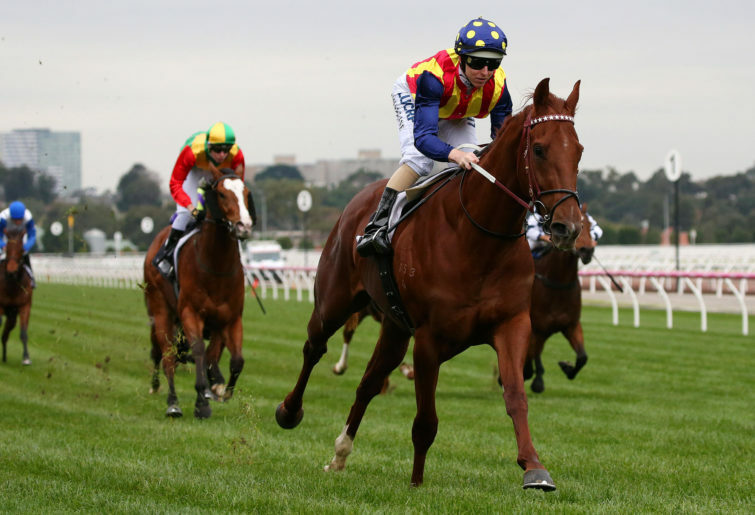 His record is perfect first up, winning two from two and from barrier fourteen, Zahra should settle him back off a hot tempo and let him storm all over them again. Bravo Tango is another who will be running on. He’s coming back in class from last start, where he ran third at this track behind Tin Hat, who went on to win the group three Manfred Stakes on Saturday. Barrier one isn’t ideal considering he will get back and the fence isn’t the greatest place to be, though with any luck he’ll be running on very strongly. Out of the runners who will race on the speed, Jemadar at big odds is no doubt overs in this race. This is a huge step down in class for him, considering he had been running in group races for most of his last preparation. He beat Karavali last preparation in Sydney, and only ran a length behind Toy Boy this preparation. He’ll sit on the speed and give them a sight in the straight. Recommended bet: Win bet on No.15 Declarationofheart. The ‘lucky last’ on the program is a benchmark 64 handicap over 1200 metres and, hopefully, it will be a lucky one for the punters, as my best of the day comes here in the form of Age Of Chivalry. I’ve been a fan of this horse since his first run, where he ran really well in what was a brilliant maiden beating Savoie home and running behind Yulong Earth. He’s been progressing well since. He ran in another maiden after that, running behind Dubai Tycoon and beating home the Derby placed Chapada. He was spelled after that and come back in brilliant fashion winning by basically two lengths at this track resuming. He’s drawn ideally from barrier three to either lead or sit on the speed, and he will be very hard to beat. Signature Street is next best. He ran behind Gold Mag who is the favourite in the seventh race last preparation at this track, before running two lengths off Holy Command after that. He resumed from a spell at this track a couple of weeks ago and only ran half a length away from Mystyko, which is obviously a good form line since his win on Saturday. Will sit on the speed and give a big sight. Spare Change is the best roughie in the last. He’s won two from five this preparation, and could never get a run at them at the Valley running behind the likes of Halvorsen and Hawkshot. Barrier one isn’t ideal considering he will get back, although Oliver is a big plus, will be running on. Recommended bet: Win bet on No.8 Age of Chivalry.